I’m back in Scotland again after a wonderful trip to St Louis in Missouri. I was there at the National Association of Wheat Weavers Convention. As well as teaching I was also able to take classes with some amazing tutors, Sidney Lee, Kathy Dailey and Linda Beiller. Each class was so inspiring and certainly did recharge my batteries. I have come home full of new ideas to try. The lady in the photo with me is Joy Whitbeck, she was assigned to pick me up from the airport and look after me during the week and look after me she certainly did. She was never far from my side and always there if I needed help. I have been a member of the National Association of Wheat Weavers for quite a number of years but this is the first time I have been to one of their events. I have met some of the members before when I went to an International Straw Festival in Hungary in 2007 and it was lovely catching up with them again. It was also great to be able to put faces to the names I read about all the time. I was made to feel very welcome and I thought just how lucky I am to be involved in this lovely straw work world. Now that I’m home there is no rest though, this next week I have a couple of classes here before I pack my bags again and set off for Hull. 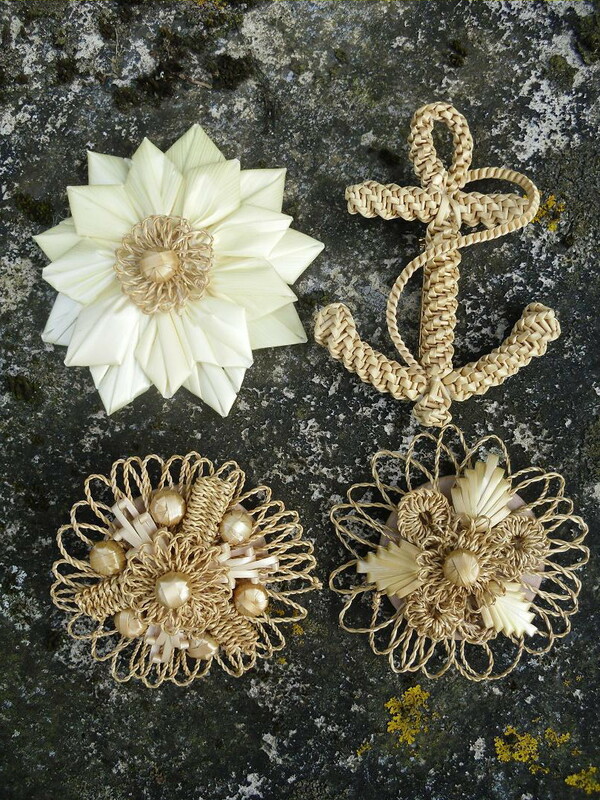 The Guild of Straw Craftsmen are having a teaching weekend in Hull which I am very much looking forward to. Again as well as teaching I will have a chance to attend other tutors classes. It’s also just a lovely chance to catch up with friends. May looks like it is going to be a busy month. I have a class at Touched By Scotland for a group organised by Nadine Saunders, an American lady who brings a group of folk from the States each year and gives them a tour of Scotland. I usually give them a day working with straw, the visitors are usually all different crafts folk so they pick things up fairly quickly. I have several talks coming up, locally as well as in Dumfries and Galloway. Also a couple of days at Aberdeen University where I will be demonstrating and also letting folk have a try, come along and see me there. During May there will be at least 2 workshops in my own studio here, details further down the Newsletter. We’re still working on a new website so if you have any problems ordering at the moment please e mail me your requirements instead. Florists Tape – for those of you who were in my Lily class over the past couple of weeks or so this is where I buy my Beige Floral Tape – the company is called Cakes for you. 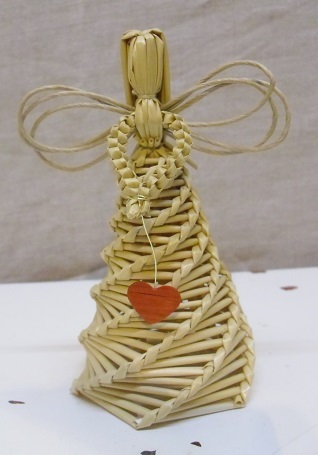 Come along and have a fun day making figures out of straw, from straw ladies with pretty hats, to angels and quite funky wee guys. Using a variety of techniques you will learn how to construct and put together at least 2 or 3 figures. There are still a couple of spaces for this class if you are interested. 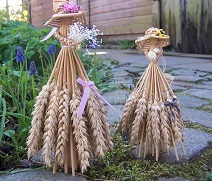 This class will look at several traditional corn dolly designs and how to make them. 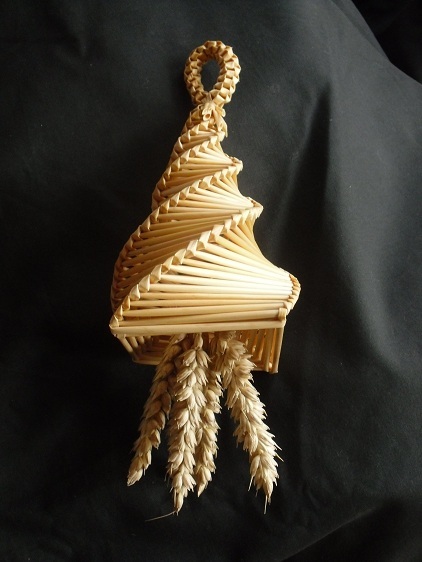 It is suitable for beginners as well as straw workers looking to develop their plaiting skills. 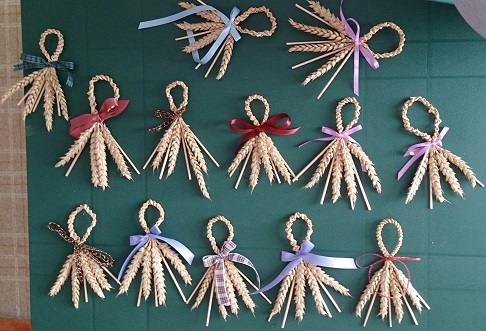 This class will explore using various straw working techniques to make a wonderful straw brooch, great for yourself or how about making one for a gift too. All the above classes are held in the studio at Rowan Cottage, Inveramsay, Inverurie AB51 5DQ. The cost of the class is £40 which includes all materials and use of tools as required. All you need to provide is your own packed lunch, tea and coffee provided too. If you are interested in the above class send me an email for a booking form. Remember that the classes here are small so they can book up fast. Just a wee reminder too that your place is only secured on receipt of payment, thank you. If you have an idea for a class please get in touch, also if there are specific times that you can manage then let me know I am very happy to put on classes to suit you at the times that are best for you. If you can get a group of 3 or 4 folk together I can put on a class just for you here in the studio. I will be teaching during this workshop weekend in Hull. It is a great way of straw workers getting together, sharing ideas and learning new skills. You can come for the whole weekend or part of the weekend. This event is organised by Jill Pearson and she can be contacted by email for more information. The Endsleigh Centre is the perfect place to hold this get together, good facilities and great food! Very friendly. Partners are welcome to come and have a relaxing weekend or to explore the Hull area. If you want more information contact Jill or myself. Hope to see some of you there. Even if you don’t want to come on the classes you can drop in and see what we are up to. There will be displays of straw work for you to look at as well as you being able to have a wee go for yourselves. 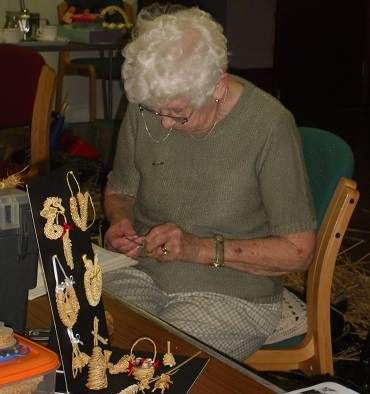 E mail Jill on hull.workshop@strawcraftsmen.co.uk to arrange a suitable time for you to visit, I’d love to meet you. If you are out and about in the next few months and see any straw work on your travels please get in touch so that we can share the information with the other readers. One place I enjoy visiting is the Angus Folk Museum at Glamis. 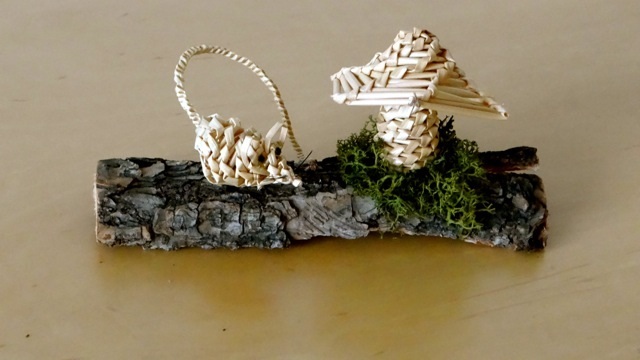 There you can see quite a few pieces made with straw from corn dollies to miniature corn stacks. If you are interested in straw work at all it is certainly worth considering joining. As well as organising events, etc., the Guild also produces a booklet twice a year called the Guild News where you can find lots of valuable information, keeping you informed as to what is going on in the straw world, you can also learn about what other straw workers are up to and also where to get your supplies of materials, tools etc. I am the Guild’s local contact so if you want any more information please email me. This is your opportunity to enjoy a relaxed weekend of workshops all based round the theme of Christmas. Meet other straw enthusiasts and pick up some ideas, whether you are an expert or a beginner. It is a real chance to see and hear what other people are doing and to recharge your own creative batteries. During the weekend the guild holds its AGM. Look on the Guild’s website for more details and an application form. A Handful of straw –. This is one of my favourite straw working books. 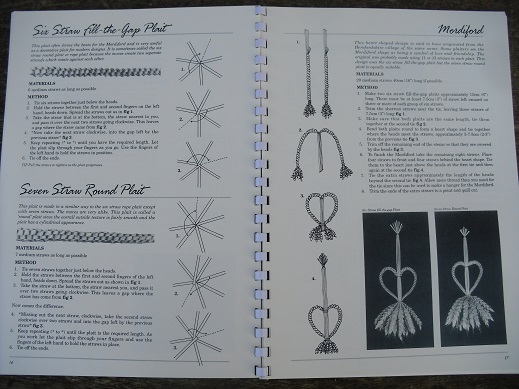 It was first produced in 1995 and has a huge amount of information and instructions on plaiting for the beginner. This has been out of print for a few years but I’m pleased to say that there has been a reprint. I have a few copies for sale, they cost £13.50 plus £2 p&p. If you would like a copy please email me for details. 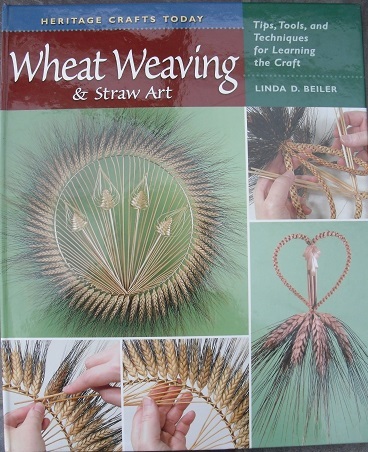 Wheat Weaving and Straw Art by Linda Beiller- While in the US I met up with Linda and have brought home a very small supply of her book. This will be your last chance to obtain this book as it is now out of print. 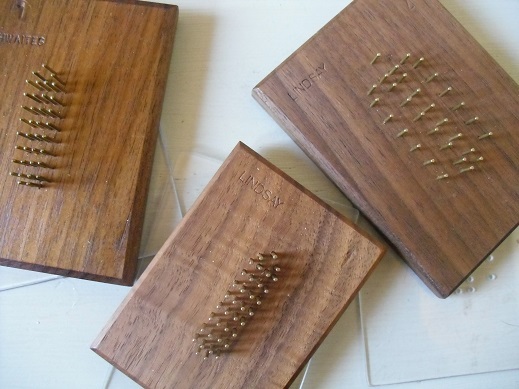 This a lovely straw working book written by a very talented straw worker. It has 164 pages and is in full colour. 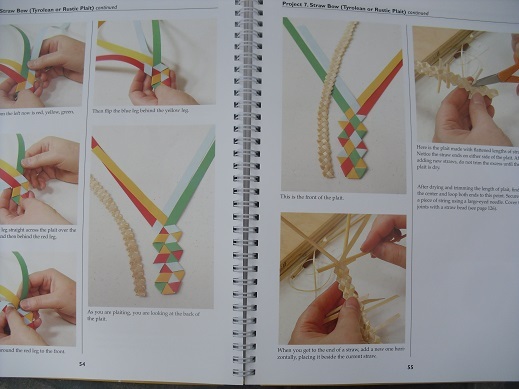 Brilliant photographs and instructions, suitable for a beginner or more experienced straw worker. Price is £18 plus £5 postage (it is a big, heavy book). If you would like a copy then please email me. 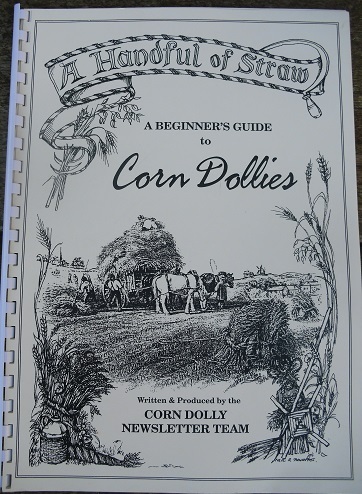 Almost time for the first Corn Dolly Newsletter for 2014, if you haven’t already subscribed there is still time. 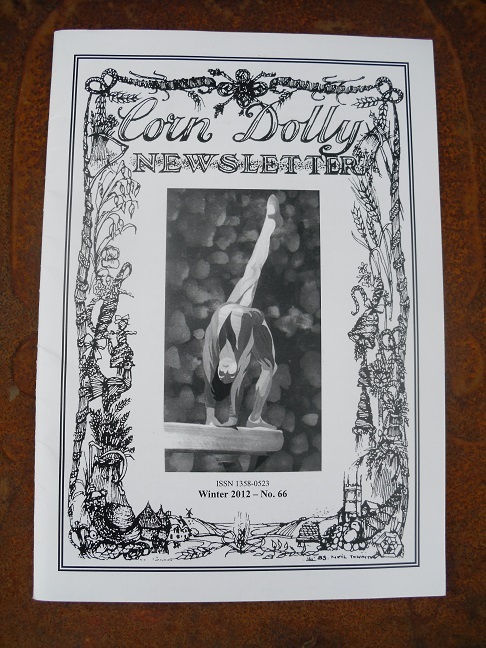 The Corn Dolly Newsletter is a publication that comes out twice a year. It is published by the Editorial Team of Peter Shelley, Dorothy Seedhouse, Janet Twigger and Elaine Lindsay. 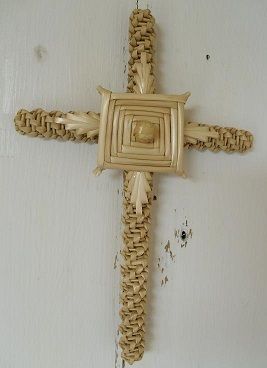 It is A5 in size and is full of interesting features all connected with straw work. You will find a range of projects for you to try yourself as well as photographs and articles of amazing straw work done by others. The subscription in the UK is £8 for 2 issues, summer and winter. If you live abroad then please contact Elaine for more information. If you would like to take out a subscription all you need to do is send a cheque for £8 made payable to The Corn Dolly Newsletter to Elaine Lindsay, Rowan Cottage, Inveramsay, Inverurie, Aberdeenshire AB51 5DQ and include your details, name, address, telephone and e mail. You can now find Something Corny on Facebook– I regularly post photos of pieces I’ve been working on so it is worth liking our page to keep in touch with what’s on the go. This is a new section in the Newsletter but something I have been thinking about for quite a while. 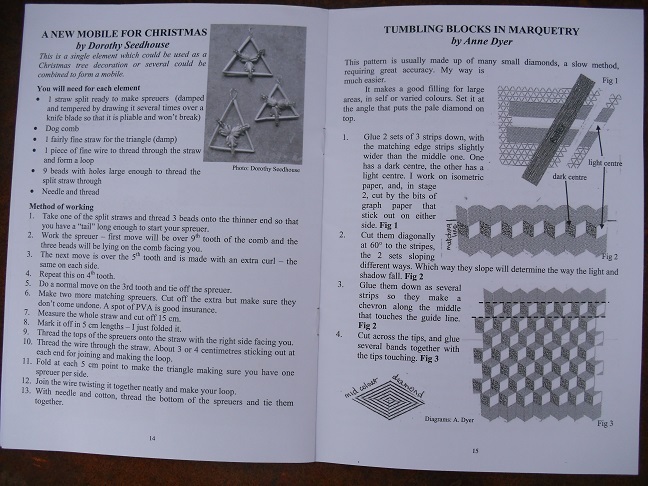 I would like to include simple instructions for basic plaits, etc, that you can use in your projects. If you think this is a good idea then they will appear each month so that you can all be developing your skills. Please email me your comments if you think this might be something you would like.With being away I haven’t manage to write a tutorial this month but next month you will have 2!! I will show you how to do the 3 straw hair plait and also how to make straw leaves using a leaf board. As always I am on the look out for some of your photos. If you have made anything using straw and would like it featured here please e mail me.Two photographs featured this month the first one is the result of me visiting the Brownies in New Pitsligo. They all made knots to take home for Mother’s Day. They all did very well as you can see by the result, well done girls. The second photo was sent by Jim Russell. How cute is this!! I have also been sent an interesting e mail by a lady I have met a couple of times, regarding growing wheat in a Poly tunnel. So we’re going to watch to see how this experiment works out. 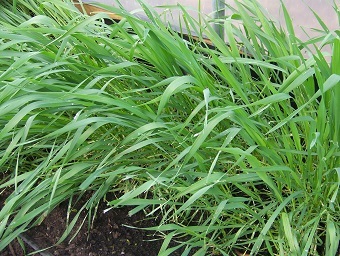 Often pupils in classes take wheat heads home to try growing their own crop, so you might find this wee article interesting. I love reading in my native Doric so I hope you all understand the jist of the e mail, if you need a translation just get in touch! Ok…. every month I get in your newsletter…..its… “I must let Elaine see her wheat growing in the tunnel”….but, then its forgotten aboot….until next month !.. Well… noo am deein’ it !. Got good germination oot o the 8-10 heads you gave me at Turra Show. The patch is roughly 4ft x 1ft and its aboot 12 -14 inch up. nae signs o it sheetin’ yet, but nae expectin’ that yet. That’s been a busy newsletter and I didn’t even start on the news from USA. Hopefully you’ll hear about my travels over the next few months and see photos of the pieces I made in class. If you need any further information on anything please e mail me for more details. I hope you all have a lovely Easter and look forward to hearing from you if you have anything to contribute to our Newsletter.